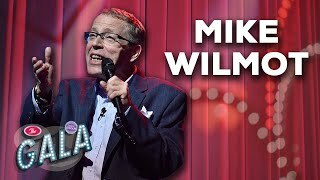 Canadian Mike Wilmot started life as stand-up comedian in 1995, becoming a regular on the UK circuit in 1998 and winning a Time Out comedy award in 2002. He has appeared several times at Just For Laughs Comedy Festival in Montreal, as well as in Ireland, Scandinavia, Paris, Amsterdam, Hong Kong, Bangkok, South Africa and Melbourne - where he won the comedy festival's Barry award in 2003. We do not currently hold contact details for Mike Wilmot's agent. If you are a comic or agent wanting your details to appear on Chortle, click here.